The U.S. Department of Education today approved the application of the Apollo Education Group, owner of the University of Phoenix, to convert from being a publicly-traded company to one owned by private equity firms and still keep its eligibility for federal student grants and loans. But in a letter, the Department, expressly citing the multiple law enforcement investigations of the company, imposed a range of conditions on the transfer of ownership, including extensive requirements to notify the public of various developments, a ban on adding new programs or increasing enrollment, and, most significantly, the posting of a letter of a $385 million letter of credit, equal to 25 percent of the company's most recent annual financial aid haul. In the past, the Department has required more than 100 colleges to post letters of credit in the 25 to 50 percent range. So the Department's action has extensive precedents. But under the terms of the sale, the new private equity buyers are permitted to back out of the deal if the Department requires a letter of credit greater than 10 percent. So the deal may never be consummated. If the potential new buyers at Wall Street's Apollo Global Management (no relation to Apollo Education) thought they had greased the political wheels by bringing in Vistria, a private equity partner owned by President Obama's close friend Martin Nesbit and former Deputy Secretary of Education Tony Miller, they may have miscalculated. In imposing the letter of credit, the Department also cited the new owners' lack of experience running an educational institution. It may be that the days are over for allowing anyone who has ever run a debt collection company, a time share operation, or a Burger King, to run a college at taxpayer expense. Experience running a college should matter. The Department's decision is a big win for students and taxpayers. 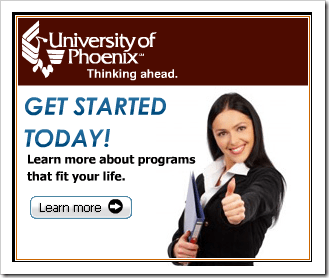 It could help reduce the predatory abuses at the University of Phoenix. It is a testament to the dedication and sound judgment of the current leadership at the Department of Education. It's also a testament to the extraordinary work that former University of Phoenix and other for-profit college students have done to stand up for themselves in the face of cynical, compromised men like Apollo cheerleader John McCain -- and against the millions spent every year by Apollo and others to lobby and seek to dominate policy in Washington.